This one has been on my list for nearly 4 1/2 years. The house was repeatedly up for sale, and it was unclear if anyone lived there, perhaps, perhaps not. The lot is 66 feet wide, and there was an attempt to split it into two 33 foot lots, as you can see from the survey marker. Curiously, some logs appeared in the front yard, not part of a tree that was cut down, but more resembling a rough sculpture. 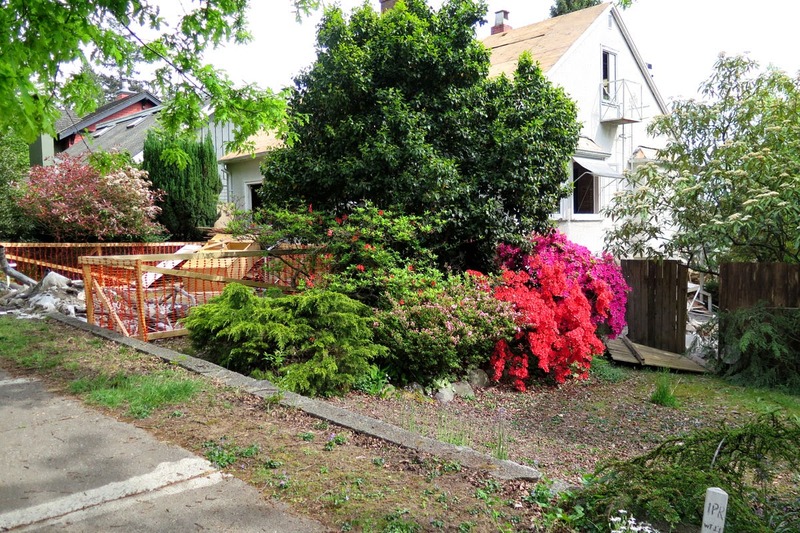 This photo is from April 2013, when it was again for sale. 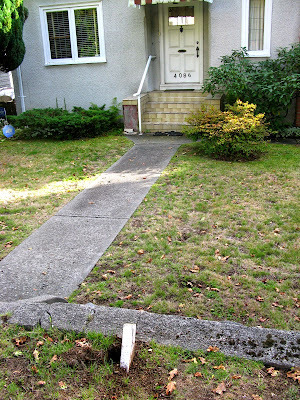 Note the survey marker in the foreground showing the wide side yard. 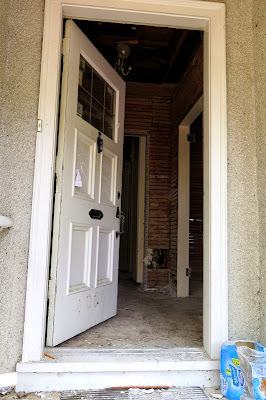 Here's a peek on Sunday, May 10 when the door was wide open. Two days later, this 1939 house was demolished. However, the wrong house almost got demolished! An alert neighbour noticed the excavator being delivered to an incorrect address. 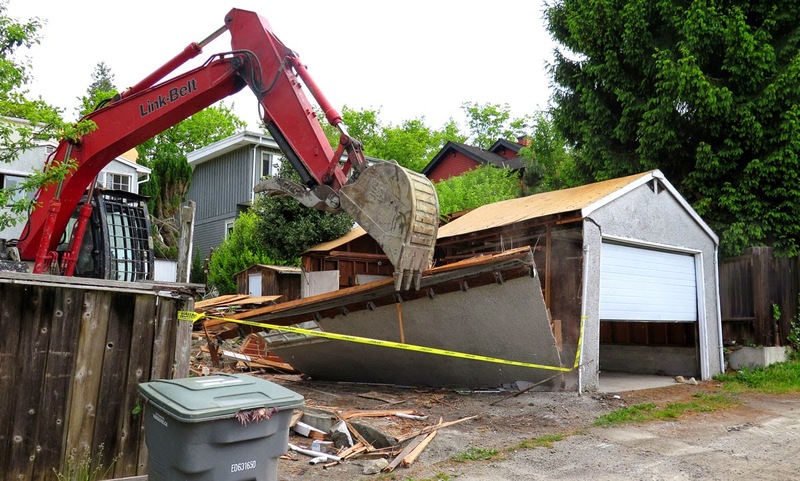 The demolition began with the one-car garage. Of this writing, it is not clear whether there will be one or two houses, as the site has been leveled but there is no hole. If you want to read more...when I did a blog on a different house on 33rd in 2013, I received an email from someone who had lived next door to this house. She gave me permission to use her email, and I have stripped out some of the names. 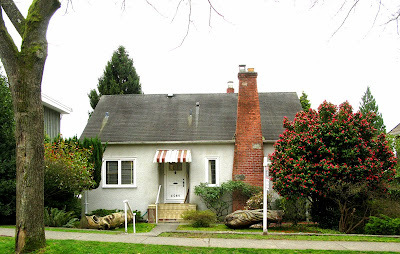 I'll give you just a little bit of info about 4086 W 33rd. It was built by the McGlashens, Mrs McGlashen was my sister's Grade One teacher, at the Southlands Annex. When they built Southlands school (1952 or 1953 ) it was quite the state of the Art school,...I think she may have moved over there, just a block away, to teach Grade Three. I can't remember that part. At any rate, she and Mr McGlashen and Mr and Mrs Boomer, who had owned our house, used to join forces back garden wise I guess, because there was a little gate in the fence between our two back yards. They had a really nice rose garden too, and kept the place up beautifully. The Zeegers moved in sometime around 1969 or so, the year I got married and moved away. Mrs McGlashen always had a ready cookie for my baby brother...until he was about 8!! 4086 is a lovely home on the inside, cut glass doors here and there, and a nice fireplace and a sun room. I think the basement was finished off too. 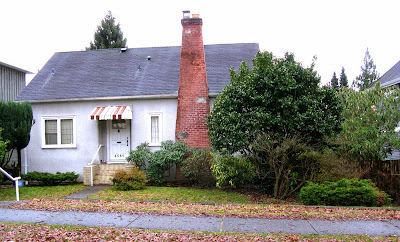 When I talked to Ms M 2 years ago, she told me that they were waiting for the house to be sold but that it hadn't been. I don't think Ms M wants it sold....she loved that house....I guess demolition is a possibility but then the house is sound so maybe someone will just renovate.